filmboards.com - What is your favorite instagram filter? Photography : What is your favorite instagram filter? Re: What is your favorite instagram filter? First two filters are for hipster douches. Bottom 3 are the best. Combine the lo-fi sky with Gingham city, then my friend you'll be sitting pretty. patent it and sell it to instagram owners! I will not. It shall be free for all. 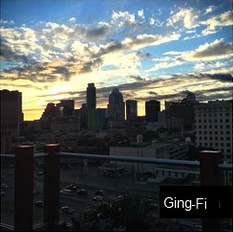 Ging-Fi belongs to everyone. Pretty cool idea. I'm going to try combining a couple on my 'gallery' app. on my cell phone. Thanks. Stunning!! Very apt title too.